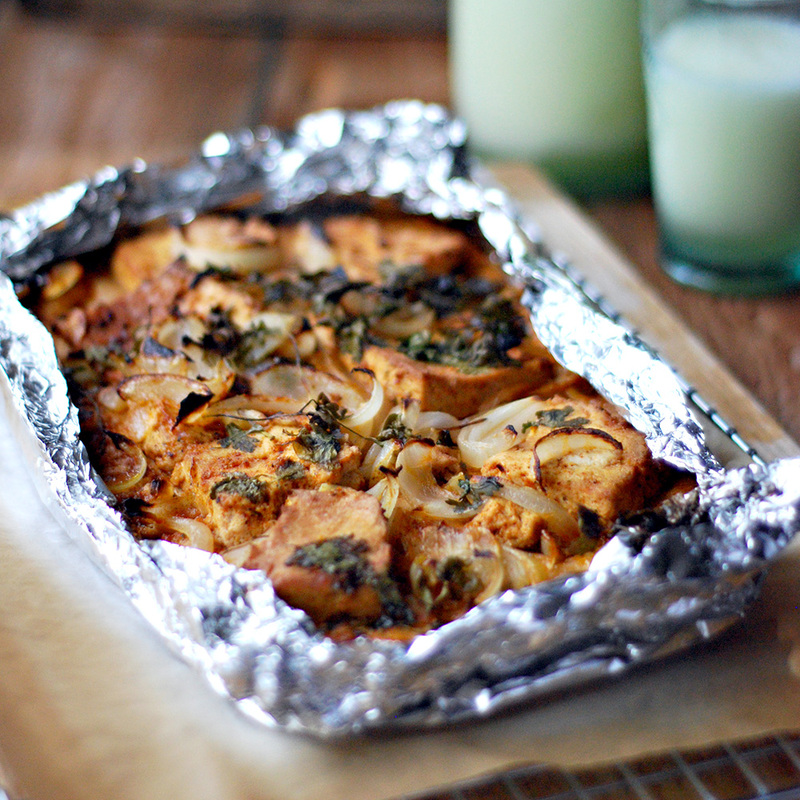 I love tofu and this marinated baked one is absolutely amazing. Crunchy on the outside and soft on the inside, the flavours on this recipe are an explosion in your mouth. The only think I have to say is, you have to try! Mix the tofu with all the ingredients part from the parsley, onion and garlic and leave it in the fridge for a minimum of 2 hours. Mix the marinated tofu with the parsley, onion and garlic and bake it in a foil bag for 45 minutes. Open the foil bag and grill the tofu for 15 minutes at 220C. Once the tofu is cooked serve straight away. It’s lovely with rice and salad. Enjoy!